Are you dreaming of visiting Phuket and other nearby island getaways that boast dozens of pristine tropical beaches? Perhaps you’re interested in exploring Similan Islands, one of the world’s top ten diving sites? The best way to see these places is chartering a private yacht in Phuket, and we are giving you 7 reasons for doing so. In addition to being a world-class holiday destination, Phuket is a wonderful base for touring other islands as well as nearby provinces. Phang Nga Bay, Krabi, Similan Islands and other corners of the Andaman Coast are famous for their limestones, hidden lagoons, and underwater wildlife. While there are endless day tours that can transport you to these magical places, they tend to be short, packed and overly commercial. In order to fully explore the beauty of the region, why not travel at your own pace on a private yacht in Phuket’s pristine waters? This way you can not only spend more than a couple of hours at each destination but you also get to create lifetime memories with a group of people you care about. Some travellers may choose quick tours as they strive to cover a lot of ground in a short amount of time. We, however, believe that quality holidays are about relaxing and leaving that high-adrenaline mode behind. Additionally, here are 7 more benefits of hiring a private yacht in Phuket in order to fully enjoy everything the fantastic region has to offer. 1. Escape the tourist crowds. If you’ve ever attempted doing a standard tour to James Bond Island, for example, you know that it is close to impossible to photograph the spikey ‘nail island’ without dozens of people in the background. Private island touring allows for a quiet and relaxing time as well as undisturbed photo sessions. Moreover, having a beach – or a whole island – to yourself is what holidaying in paradise is all about. 2. Take pleasure in optimal weather conditions. Phuket is blessed with generally good weather and pleasant sea temperature all year round. Whether you visit the island in the so-called high or low season, you will be able to enjoy a personalized yacht trip to dreamy picturesque places – some of which are only reachable by boat. 3. Get pampered in sheltered bays with calm waters. Andaman Shore offers some amazing sheltered bays with calm waters. One of them is Phang Nga Bay, a 400 square kilometer area protected from the monsoonal winds. With its hundreds of islands, this stunning bay is therefore the perfect place for a luxury yacht holiday all year round. 4. Delight in a highly personalized experience. 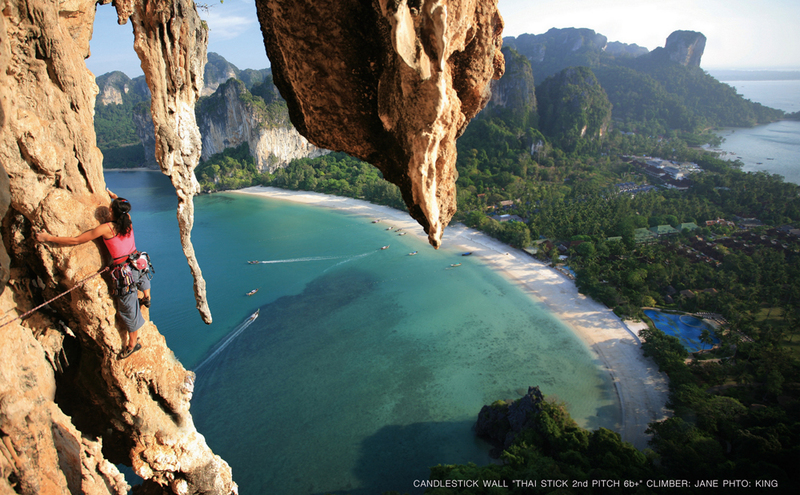 Would you like a slow-paced holiday that consists of fine dining and sunbathing at some of the Thailand’s best beaches? Maybe you are after a thrilling diving trip, rock climbing or kayaking into the unknown? Perhaps you’d like a mix of adventure and relaxation? No problem! The islands around Phuket offer a good combination of both relaxing and challenging activities. You can go on hilly walks, cycle, try rock climbing, or examine mangrove forests by kayak. Renting a private yacht in Phuket with Boat in the Bay you get a custom itinerary considering your wishes and preferences. 5. Explore the local limestone kingdom. Cliffs that rise from the sea, one-of-a-kind rock formations and caves with hidden lagoons all make Andaman Coast scenic and hard to forget. If you wish to visit a place that isn’t as famous as, say, Phang Nga Bay or Phi Phi Islands, we can certainly create a unique natural itinerary that is off the beaten path. One of the places we recommend is Koh Muk, an island with idyllic sights that are sure to cast a spell on the discerning traveller. 6. Discover unique underwater world. Phuket is the gateway to the best scuba diving in all of Thailand. Most dive sites in the area are home to sea turtles as well as eye-catching colourful fish and corals. 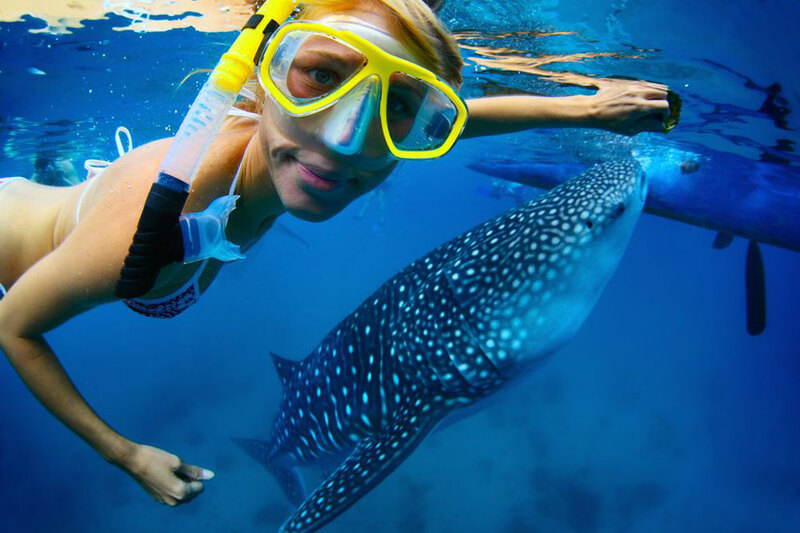 Divers can also encounter some of the more exotic sea creatures such as manta rays in Racha Noi and whale sharks that appear around Phi Phi mid-year. What’s more, Similan Islands that are open to the public between mid-October and mid-May are among the world’s top ten diving sites. Rather than reading about the islands’ charm, make sure you pay them a visit during your cruise. 7. Watch the sunset at sea. Phuket sunsets, each a bit different from the previous, never cease to impress. Watching a sunset onboard a private boat is a memory that is sure to stay with you once you get back to your everyday life. Imagine cruising on a private yacht in Phuket waters with family or a group of friends. There is a soft breeze, delectable bites, cocktails and champagne, and the sky is a display of red and orange hues… You feel an unparalleled sense of freedom and comfort that is a fitting crown to your journey. In the end, whether you set aside a couple of days or a full week to discover beauties of Phuket by a yacht charter is irrelevant. What matters is a chance to unwind your own unique way in maximum privacy – and in a place renowned for its beauty like Phuket you indeed get what you pay for. For yacht or destination recommendations, drop us a line with your preferred dates and we’ll immediately be in touch. Happy sailing!